If by now you still don't know what Pokemon go is then you probably need to update your self in the tech world. 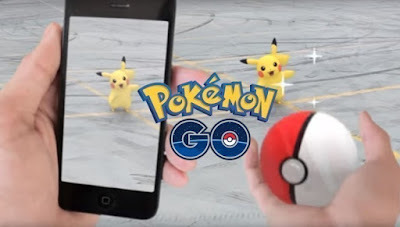 Pokemon Go is one of the latest games out there but unlike the regular mobile games you are used to, this particular game takes a completely different dimension. But while Android and iOS users are both enjoying this game in different countries, the windows phone users are currently left behind since there is no official support for the app on windows mobile OS. But the good news now is that there is an unofficial version for windows 10 mobile users created by ST-Apps with contribution from some other developers. Since this app is Still in it's beta stage some features are still missing, but regular updates are been released and you can also contribute on github since the app is open source. I will guide you through a detailed procedure on how to install the PO-Go on your windows phone. But note that this will only work on windows phone that runs on windows 10 and you will also need a PC to complete the procedure. => Create a Pokemon Trainer Club account by clicking on this LINK. ==> Login via the official client on either your Android or iOS device or you can just make use of the blue stack app on windows PC. ==> Select a starting Pokemon, this is necessary since it can be done on the PO-GO app yet. ==> After that you can now log out from the official app by tapping on the Pokeball icon and going to settings. ==> Now you have to download all these three(3) Github files to a PC which is connected to the same Wi-Fi network as the Windows 10 Mobile you want to install the game in and place them in the same folder. >>>Here are the 3 files. File 1, File 2 and File 3. ==> Go to settings on your windows 10 mobile, search “For developers” and then just enable the “Developer mode, Device discovery, and Device Portal”. ==> On the bottom of the “Device Portal” settings, you will see an IP address, just navigate to that IP address on the PC containing the Github files. ==> Click on the Apps section on the Device Portal in your PC browser and add the file “PokemonGo-UWP_1.0.3.0_ARM_Debug.appx” under Install App. ==> Add package and add other two files as dependencies. ==> After that just click on the Go button under the Deploy. ==> That's all, you are through with the installation process. Now you can simply launch the PoGo-UWP on your Windows phone and login with the account which you set up earlier. If you have any question, feel free to ask in the comment box below and also don't forget to share this post.